Vital and vibrant at 45, we believe that the truest form of success is the ability to sustain the pursuit of continued excellence. What’s our secret? We wisely engineer the agile, cutting-edge solutions that given our experience we know will best benefit our clients. Exercising responsibility and good stewardship in every decision, we partner with our clients to serve their revenue cycle needs. Staying a step ahead, Quadax solves today’s complexities, anticipating and planning the solutions that will solve tomorrow’s challenges. Headquartered in healthcare’s heartland, Quadax is Cleveland born and bred. Having grown to five Northeast Ohio locations, Quadax engages the region’s rich resources to serve clients coast-to-coast. Focused on optimizing revenue cycle and electronic transaction workflow, Quadax operates nationally serving a diverse set of clients, from large multistate healthcare campuses to cutting edge genomic and molecular diagnostic labs. Quadax has helped shape an industry. 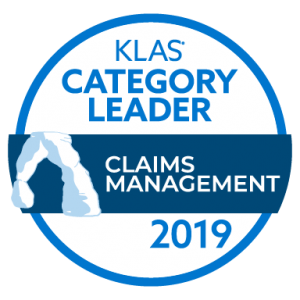 We started by pioneering healthcare EDI in Ohio and have grown to be this year’s nationally ranked #1 Claims Management Category Leader by KLAS in the 2018 Best in KLAS: Software & Services Report. Built on a foundation of service and technology, our solutions have helped clients influence and advance their standard of care. Though we take pride in these accomplishments, we are vigilant in our pursuit of future opportunities. Clients trust us as a proven center of healthcare revenue cycle excellence to streamline their accounts receivable and reimbursement activities. Remaining true to our founding principles—integrity, respect, teamwork, dependability—Quadax has flourished and our clients have prospered. As a result, Quadax has attracted and nurtured talented teammates who understand what it takes to deliver top-shelf solutions in a cutting-edge industry. With purpose and precision, our team is dedicated to getting you the answers you need when you need them. Through our coordinated service model—client engagement teams, solution-driven software, and compassionate call center support—we help you help others. People serving people, we put our customers first with three principles in mind: create value, champion health, and never settle. As a trusted partner, an industry expert, and dedicated service provider, Quadax works together with our clients in seamless unity. Taking care of our clients, we help them serve and take care of our communities. Celebrating our 45th Anniversary in revenue cycle management, we are ready to serve you. Contact us to learn how our configurable software and customizable solutions can help you accelerate your healthcare receivables.